Munivishaal is a 13 year old boy. Munivishaal and his family live in extreme poverty, relying on the very small amount of welfare support available in Fiji. 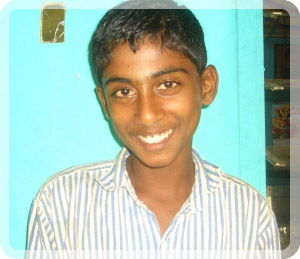 Munivishaal enjoys attending school and his favourite subject is Maths. When he is not at school he loves to draw and paint. Munivishaal travels to school each day on foot. When he grows up, Munivishaal wants to be a doctor. I fully endorse the application for support for Munivishaal. Munivishaal now has a sponsor hand can continue his schooling.